" I am more interested in understanding their culture than I was before. I want to make a connection, to REALLY teach this time", said Priede referring to the next generation of Art Students during an interview before coming out of retirement in 2008. In 2013 Prided retired from teaching at JCCC for the last time in order to devote more attention to his work and love. Adjunct Professor teaching painting and drawing. Courses taught include all levels of painting and drawing. 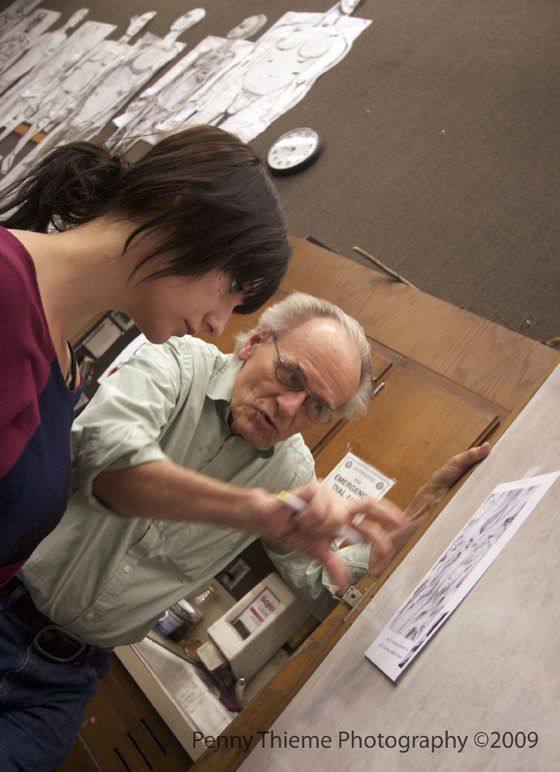 Courses taught include all levels of lithography, etching, reliefsilkscreen,drawing,painting, and 2-D design. Traveled in Europe, continued own work, includingmixed-medium works on paper. painting, seminar in 20th c. Art Theories; continued to print for ULAE. Motherwell, Rosenquist, Frankenthaler, Dine, andothers.